Manchester International School ( CBSE, IGCSE, AS & A Levels, IB PYP ) remains truly extraordinary amongst a plethora of international schools in coimbatore. 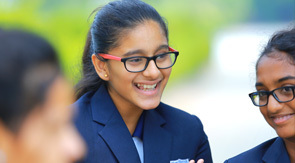 Being branded as one among the best IB schools in India, the Key ethos of the school is to inculcate and uphold an unassuming, caring, respectful and supportive interpersonal bond between students and the entire staff. To make this into reality, additional guidance in all the functional aspects is offered by our unwavering staff and counsellors of the school. This school endeavours, endlessly, to discover and help lay bare the limitless innate potential of each and every student of the school. Manchester International School takes pride in pioneering the services whilst enjoying permanent membership of the Interact club that strongly believes in the betterment of the community and continued support towards uplifting of the downtrodden in the vicinity.